Dr. Renee Applebaum is a practicing clinical neuropsychologist with nearly 20 years of post graduate experience. 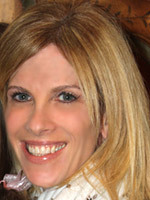 Dr. Applebaum earned a Ph.D. in Clinical and School Psychology from Hofstra University in 1995. She then completed additional post doctoral training in the subspecialty of Neuropsychology, attaining a Neuropsychology Certificate from The Fielding Institute in 1999. After working as Clinical Coordinator and Staff Neuropsychologist at an outpatient rehabilitation facility for persons with closed head injuries for 7 years, Dr. Applebaum has been offering professional services in independent practice since 2002. Dr. Applebaum evaluates and treats hundreds of patient yearly with known or suspected neurological conditions, especially those with mild to moderate closed head injuries. In addition, this includes those who have suspected or documented primary degenerative brain diseases such as Alzheimer’s or other neurological conditions such as stroke, Multiple Sclerosis, Parkinson’s, epilepsy and anoxic brain injuries. Finally, Dr. Applebaum regularly conducts neuropsychological assessments with late adolescents and adults with Attention Deficit Hyperactivity Disorder and Learning Disorders. Dr. Applebaum also has extensive experience in the legal application of neuropsychological services for both defendant and plaintiff attorneys in civil matters. Dr. Applebaum frequently provides additional forensic services including medical record reviews, expert consultation and testimony as an expert witness. Dr. Applebaum is a member of the National Academy of Neuropsychology, Coalition of Clinical Practicioners in Neuropsychology and American Psychological Association, Division 40.